Recently, a male friend of ours (trying to save his troubled marriage by attending counseling sessions) confided in my husband. During an emotional session, a provocative question was posed by the therapist. “How would you describe your father…if you could only choose three words?” Much to his surprise, he could only come up with one – selfish. This realization led to his most insightful “break-through” session to date. When my husband shared the story with me, it naturally made me pause and think about my own father. My last conversation with my dad was only a year ago – just a few hours later after we said our goodbyes, he passed away peacefully in the middle of the night. In the midst of missing him and mourning my loss, I’ve visited many memories – some sweet, some bittersweet. 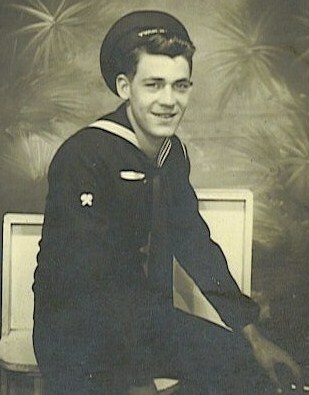 Throughout the day, pictures of my dad’s life – a young handsome sailor to an 83 year old great grandfather – randomly pop up on my computer slideshow. With the visual backdrop, searching for the “one word” to describe my dad proved not to be so difficult, in fact, as I really observed each captured freeze frame, a common thread began to emerge. It was so obvious, at least from this baby daughter’s perspective, if confined to one word to describe my dad, for me it would have to be . . . “loving”. 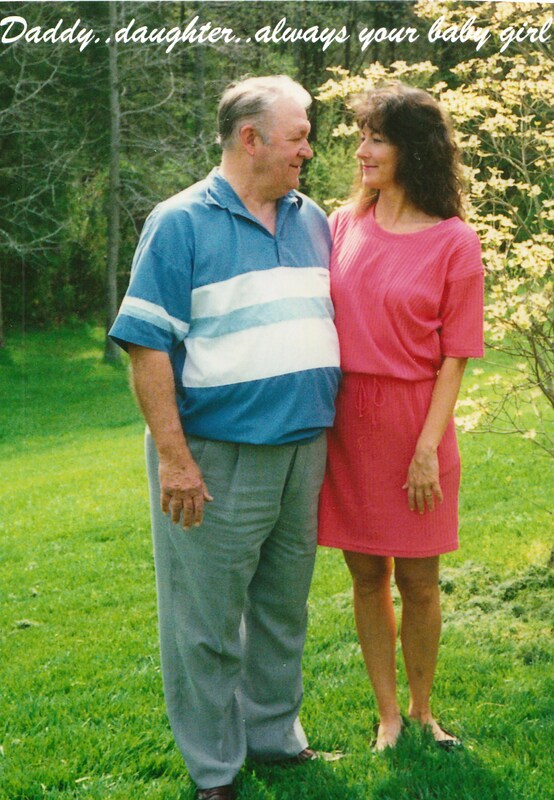 Truly, I’m not blind to the fact my dad had flaws and may have been selfish in some ways – but in the area of affection he was more than generous. His arms (always available for hugs) and his kisses (sometimes rebuffed) – sealed every hello and goodbye. Over the course of his life my father struggled with many personal demons. Which is why I am positive if you asked my three siblings the same question, they would all come up with a different one word descriptor for my dad. In many ways, he was his own worst enemy, perhaps a character flaw that the artist/lover personality types share. Interestingly, I have observed many of the same traits in my son. Upon deeper reflection, it occurs to me that my perception of my father as “loving”, has been colored not only by my dad’s displays of affection, but also by my own personality, filters and role I played in his life. Since I was only five years old when my parents divorced, I have no scarring memories (at least consciously) of their often tumultuous interaction. I grew up oblivious to his personal approach toward parenting, discipline or perhaps lack thereof. Time spent with my dad meant fun-filled activities, cool restaurants and shopping sprees. In a sense, from birth until the day he passed away, I was the baby daughter who climbed into his lap and flung my arms around his neck. In the last few days, I have posed this same question to a few of my friends. The answers have covered a broad spectrum, from “harsh” and “bully” to “aloof” and “pleasant”. If the first word that comes to mind is negative, perhaps it would be helpful to take the time to identify at least two positive attributes which could allow a different reality to take shape and emotional healing to begin. No matter what one word comes to light, I believe, at least for me. . .the life lesson is to not be held back by what my parents were or were not, but to constructively use the information to choose what kind of person, spouse or parent I want to be. Learn, change. . .grow. Like LuvYa.com on Facebook ! Alison, this is really good advice, choosing to remember the positive memories and learning from the past to make maybe wiser decisions in our own life. Love it!! Suzanne, thanks for your comments, I’m so glad you were inspired. My hope for LuvYa.com is by sharing our life observations, we can all be enriched and make better decisions for the future. So glad you took the time to share! Alison, your words have touched me so much. I’m not really ready to share about my dad just yet, but the tears leave me sad and thoughtful. 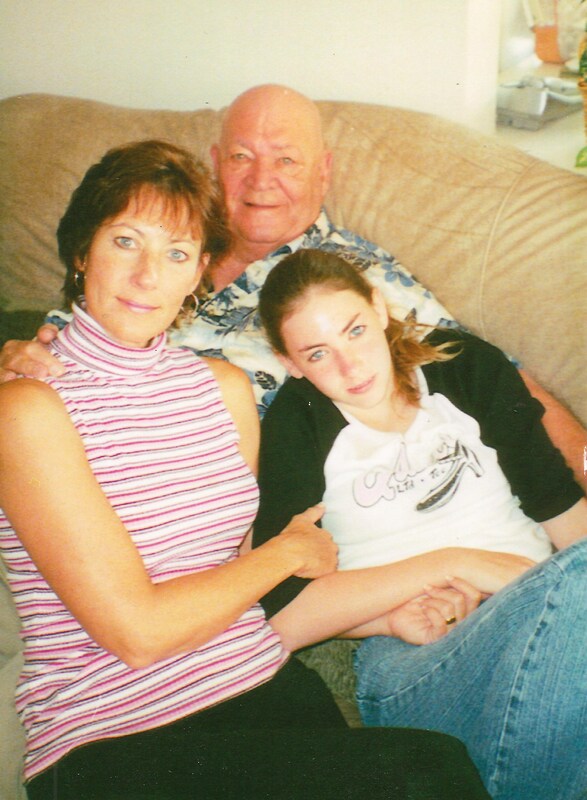 Dad died about 2 years ago and my feeling are mixed…..